“I’ve had a few wild encounters during shows but this time I actually got scared. 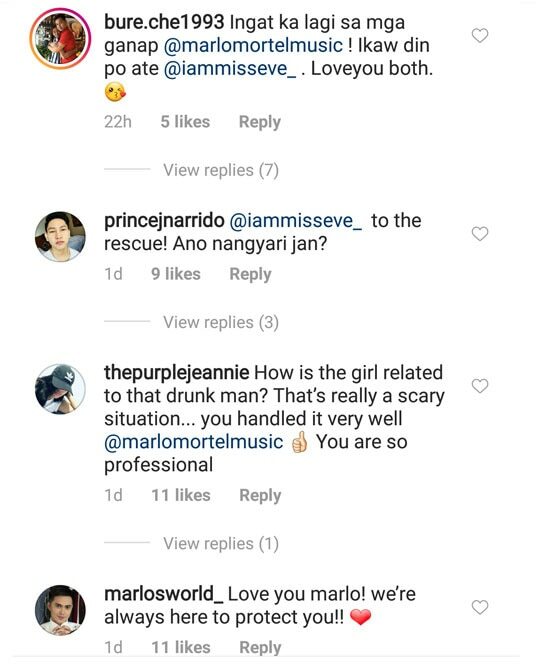 I didn’t know how to react, we were told that he was drunk,” he said on his Instagram post last Thursday. 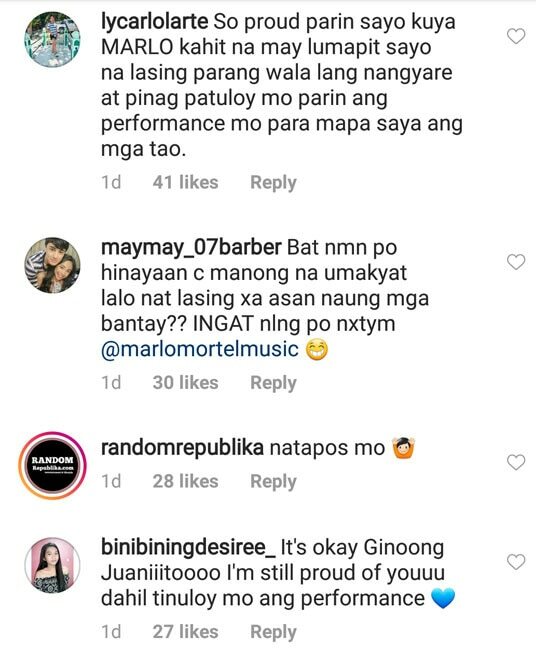 Marlo Mortel took to Instagram on Thursday to share his scary experience during an out-of-town show in Mamburao, Occidental Mindoro just recently. 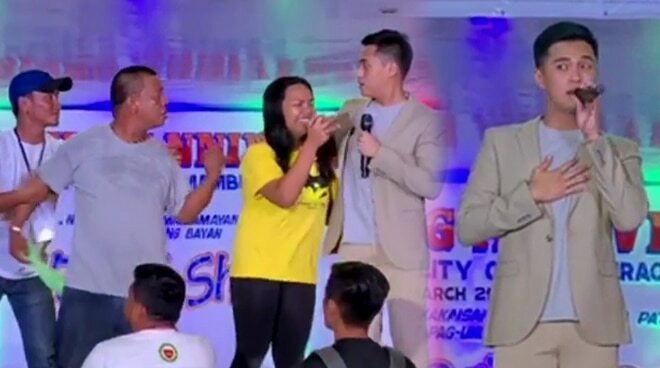 There as a guest performer for the municipality’s 68th foundation anniversary celebration, the 26-year-old singer and actor narrated how he came face to face with a drunk man while he was performing with a fan onstage. A video attached to his post showed that the intoxicated spectator even attempted to make a scene, had it not been for the quick response of the authorities present during that evening. “I’ve had a few wild encounters during shows but this time I actually got scared. I didn’t know how to react, we were told that he was drunk,” he wrote. “As performers, we put ourselves in a vulnerable position everytime we go out. We genuinely want to make you guys happy but we do ask for a little bit of respect in return. Tao lang din po kami,” he added. The comments section was instantly filled with sighs of relief from fans. 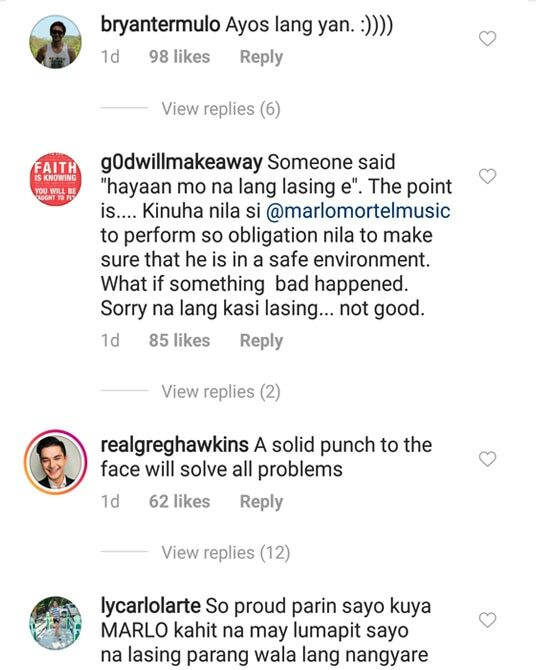 Others commended Marlo for his apparent professionalism despite being faced with an alarming incident.